What to put on that antique dresser ? So you’ve bought, borrowed, inherited or otherwise acquired a beautiful antique dressing table or bedroom dresser? Lucky you! 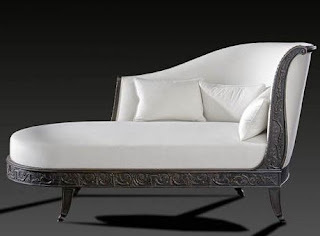 They are among the most beautiful kinds of furniture and can really lift a whole bedroom. They are practical too: a great way to make your daily routine that bit easier. But now you’ve got it, what are you going to do with it? Show-home perfect or a bit bohemian? Whatever your personal style, and antique dressing table can be used to enhance it. Do you go for the cluttered look, with all your favourite things all over the surface, and perhaps a pair of stockings hanging over the mirror, or do you like things all neat and orderly, tucked away in trays and drawers? If you’re planning to use your dressing table as it was originally intended, for hair and make-up, it’s important to make sure the top is protected. 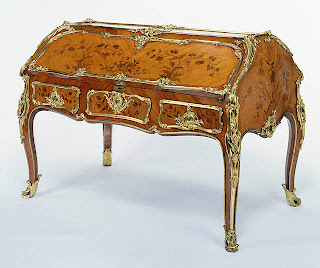 Some dressing tables already have glass tops, in which case just go ahead and use it. The only thing you may need to be a little careful with are heated styling devices: spilt make-up or hair products will simply wipe off. Do get a specialist glass cleaner or just use vinegar and water, though. Most cleaning products will leave an unpleasant smear. If the top of your table is made out of wood, you might want to buy something like a clear Perspex placemat or chopping board to put your things on to prevent them from spoiling the wood. An antique dressing table is a great kind of space to display your treasures: jewellery, perfume bottles, even your favourite childhood teddy bear. Go to craft fairs and antique shops to look for ring trees and necklace stands, or if you’re reluctant to do all that dusting, invest in a good quality jewellery box or two. Even make-up boxes and bags can look exciting and glamorous on a beautiful dressing table. For a really special look, buy the right antique jewellery to match the era of your table, whether that’s Regency, Victorian, Art Deco or more modern. Dressing tables aren’t just for girly girls. They can be a highly practical way for men to keep socks and underwear, cufflinks, hair things and other bits and pieces in order. Park your laptop there for a change of scene while working or surfing the internet. Your little girl will feel like a princess if she’s lucky enough to have a beautiful antique dressing table to put all of her little bits and pieces on and in. Children love designs with lots of different drawers and compartments. Use it to store clothes or toys, and it can even double up as a desk to do homework at.